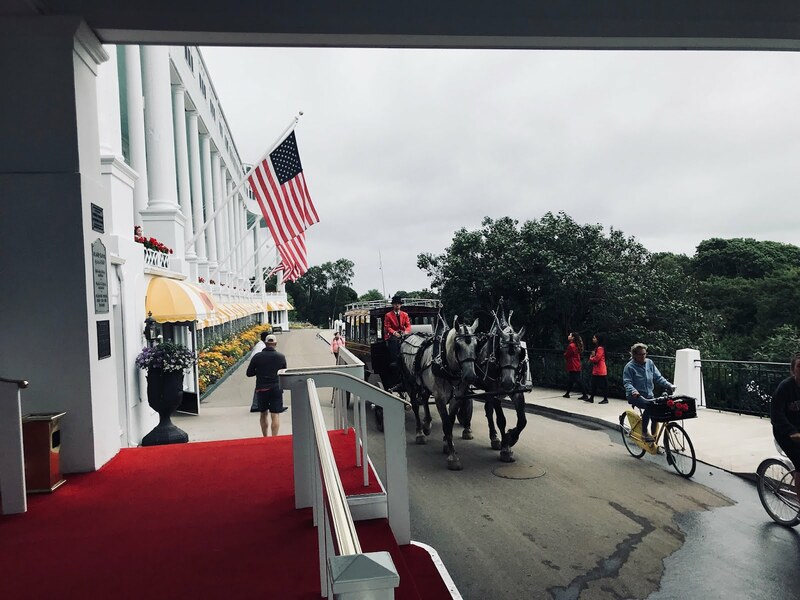 The weather was not cooperating the way we wished, with clouds and rain most of the day. It didn’t put a damper on my day as I had waited a long time to get to this area and was excited to be in the South of France. Eric Aracil, Export Manager, Conseil Interprofessionnel des Vins du Roussillon, picked me up for a full day of wine tasting in the Roussillon region. He apologized for the weather and explained how unusual it was since this area actually gets 320 sunny days per year. I listened to him talk with pride as I enjoyed the beautiful landscape changing in front of the mountains. There were areas of green, but also many spots where it looked like the vines were growing right out of black! 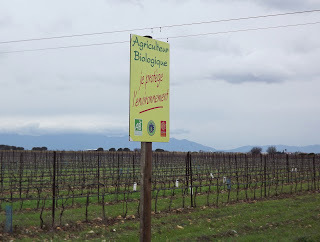 These are just a few of the things that make Roussillon unique from other French wine areas. Our first stop was at Domaine Piquemal, a family-owned winery that was now in the hands of the fifth generation, Marie Pierre Piquemal. She greeted us in the brand new building that now houses their tasting room and winery. 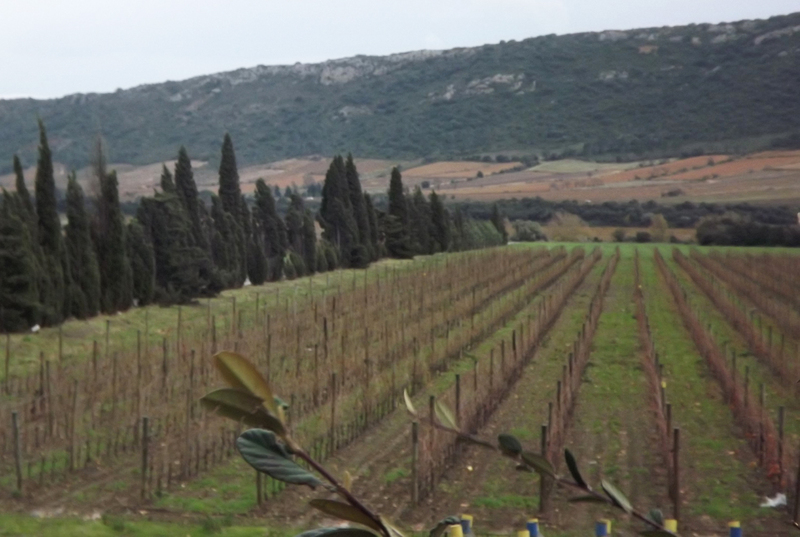 Marie Pierre explained how all the elements in her land, including black soil, clay, olive trees and wild herbs, influence the wines produced by Domaine Piquemal. It was here I had my first taste of Muscat Sec, or dry moscato. It is very popular in Roussillon for its tropical and fresh flavors. 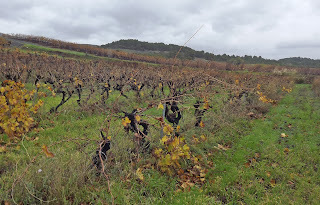 My favorite wine at Domaine Piquemal, though, was the 2010 Les Terres Grilleés, a combination of syrah, grenache and carignan that exemplifies the herb influence in the vineyards. 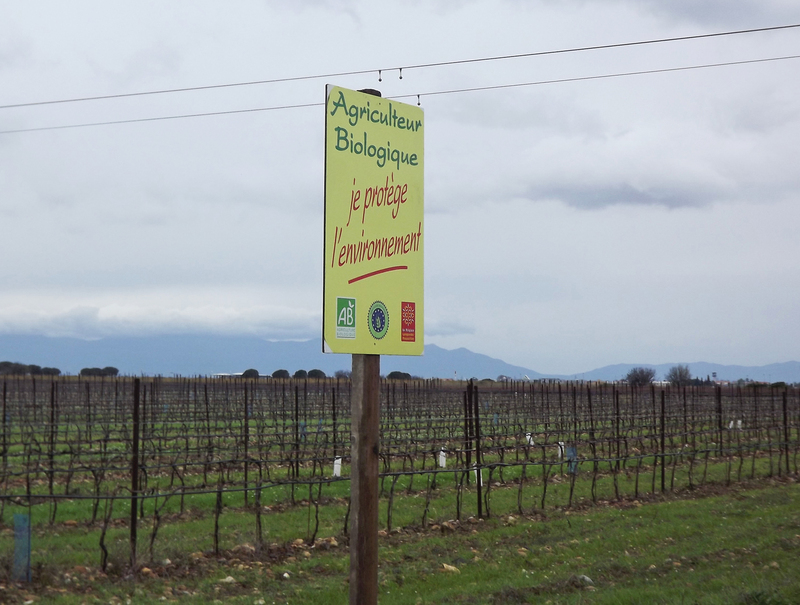 Next was Maison Cazes, the largest vineyard in France to practice organic and biodynamic farming. Lional Lavail, owner and general manager at Cazes, met with us and showed us the solar panels used in this area, which is known to be windy and sunny most of the year. Among the unusual techniques they use to avoid chemicals is a supply of bats to kill spiders and encourage the insects that will help with pollination. 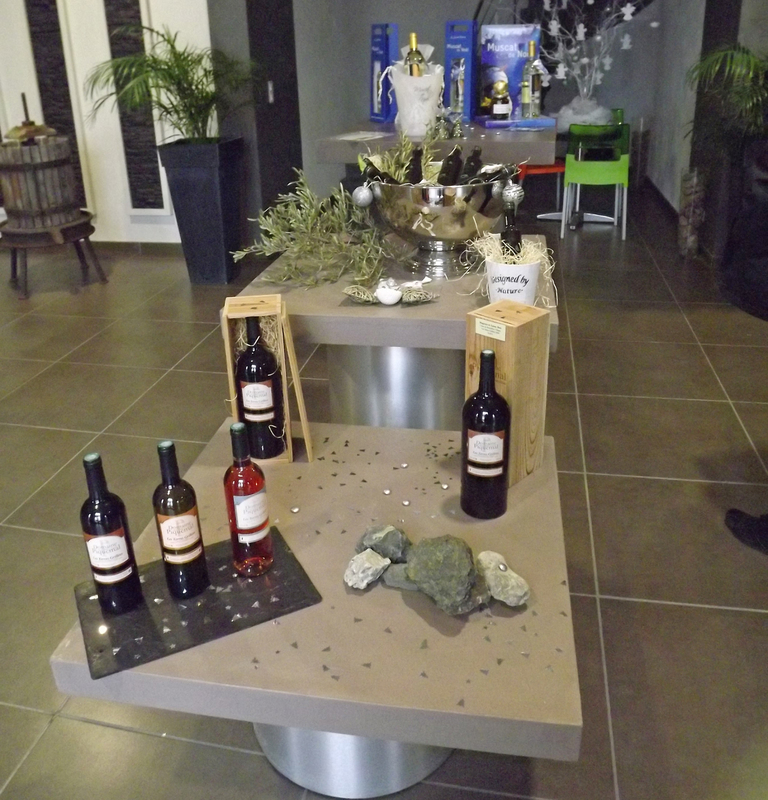 Maison Cazes also has plans to lead the area in another respect – wine tourism. 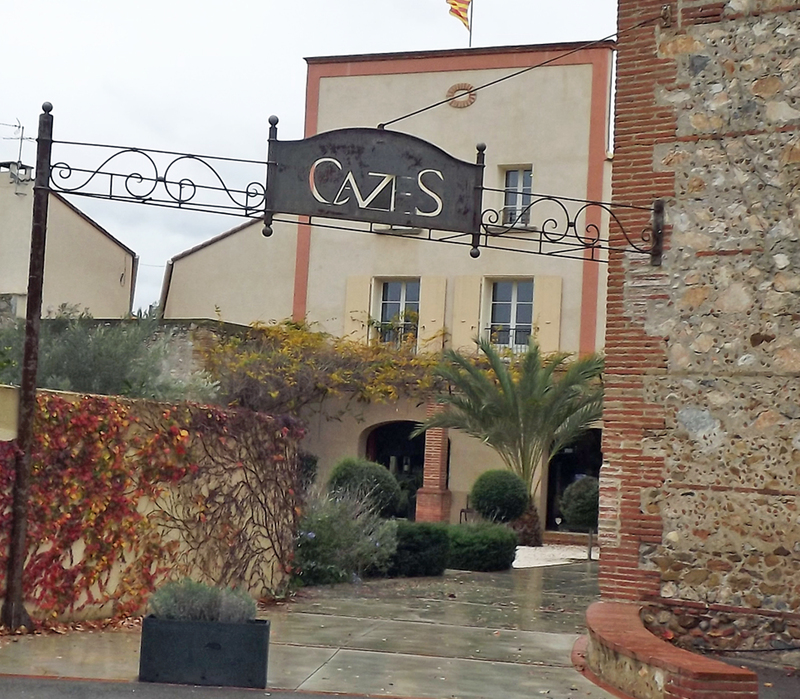 Lional Lavail believes that more should know that the best vineyards to visit are right in Roussillon. He’s already working on building accommodations at the winery to encourage more to visit. 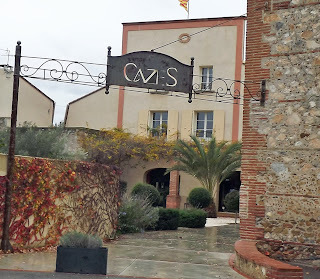 We tasted the wines of Cazes wines during a delicious lunch in their restaurant, which has fresh food brought in everyday from local producers. A 2012 Le Canon du Maréchal. This blend of two types of muscat and viognier together made everything I enjoy in wine – a combination of tropical and citrus that’s fresh, light and just slightly sweet from the fruit. I had a wonderful quinoa cake and some bread out of the oven in this rustic setting while we tasted some spicy red blends and finished with a most unusual 1999 Rivesaltes Ambré. This barrel-aged Grenache was orange in color and a very good combination of sweet and woody, though it was still hard to pull me away from the Apple-Caramel dessert! Before I could say no more, Lional pulled out a 1978 White Grenache, which had most incredible notes of apricot, dates, ginger and cherries. 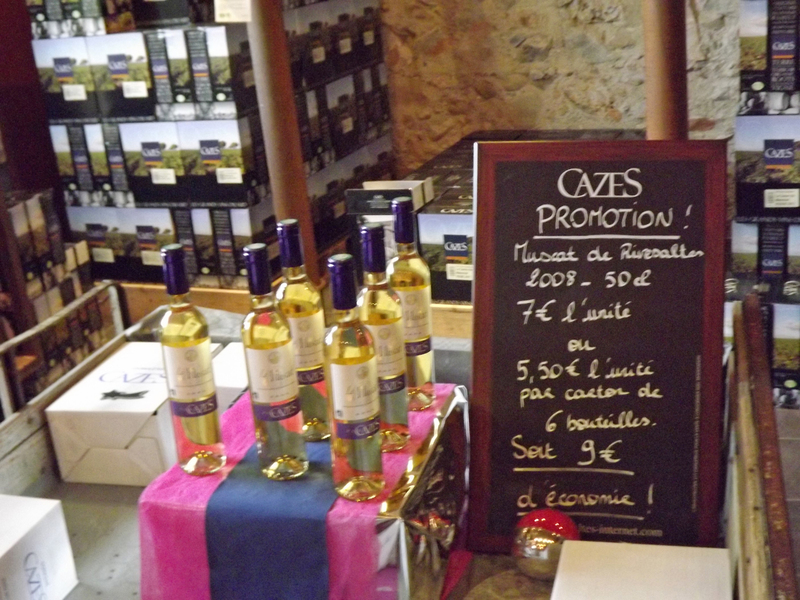 It was sad to leave Maison Cazes (and its wines), but we had more places to go and bottles to taste. 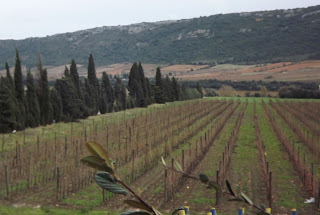 Cases de Pene is actually a cooperative of 60 growers from the town with the same name. 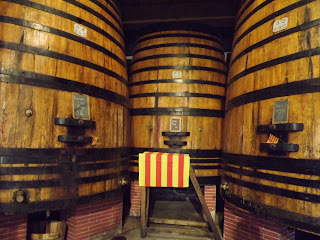 One winemaker works here to blend and then store the wine in large concrete tanks in the middle of this quaint town. 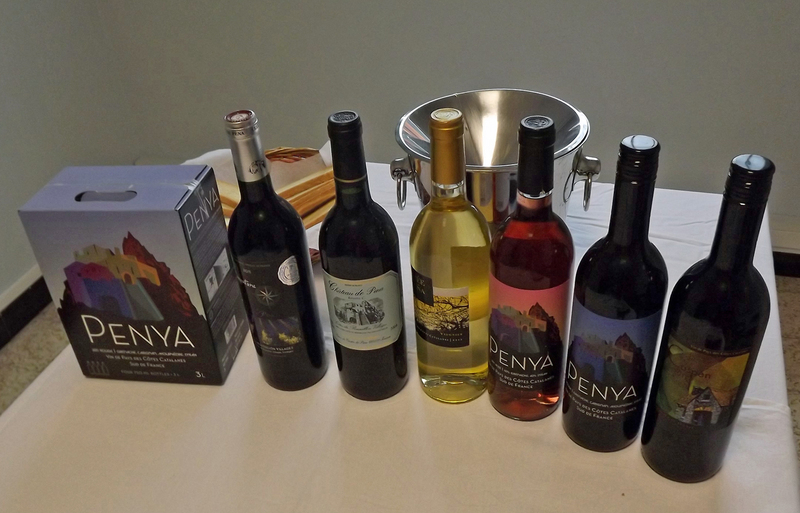 The wines are then sold and exported under the Chateau de Penya name. Chateau du Penya also produces a fantastic Muscat de Noel, a limited edition Christmas muscato made by many of the wineries in Roussillon that’s worth pre-ordering. 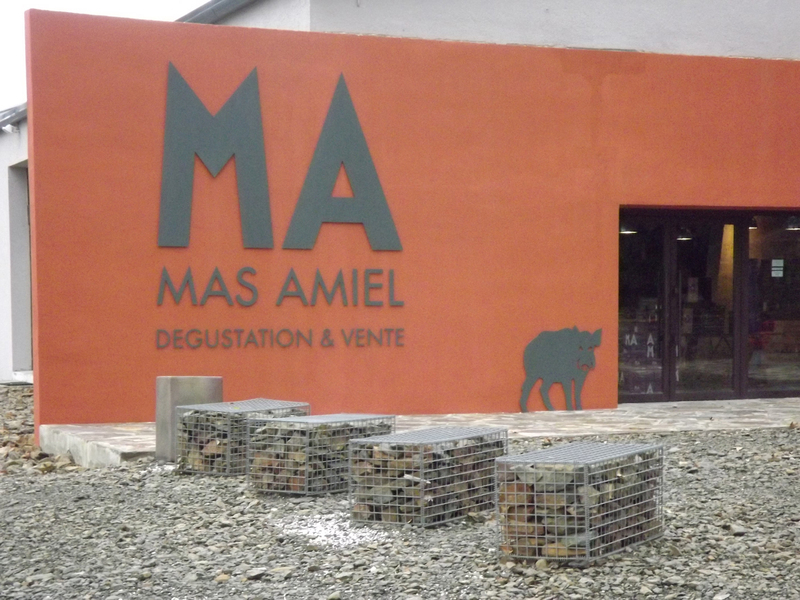 It was time to climb the mountain a bit for the coldest vineyards of Mas Amiel. François Trouquet took us around and showed us some of the unusual winemaking techniques here, including the largest wooden barrels I’ve seen and the smallest containers – which are kept outside. 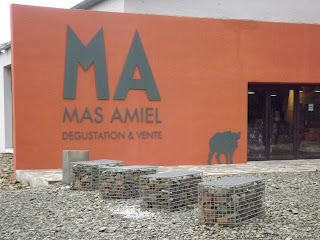 We did a lot of tasting at Mas Amiel of quite a selection of grenache. My excitement went from one end of the spectrum to the other. I loved the 2009 Vintage Blanc, a grey grenache with tropical minerality (including strong pineapple notes), and a creamy, long lasting finish. I also relished the 2010 Vintage, a black grenache full of chocolate and back raspberry. 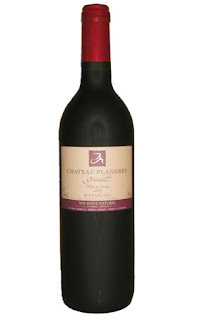 After a short break at the hotel, I had dinner with Gilles Jaubert of Château Planères at Le Café Vienne à Perpignan. 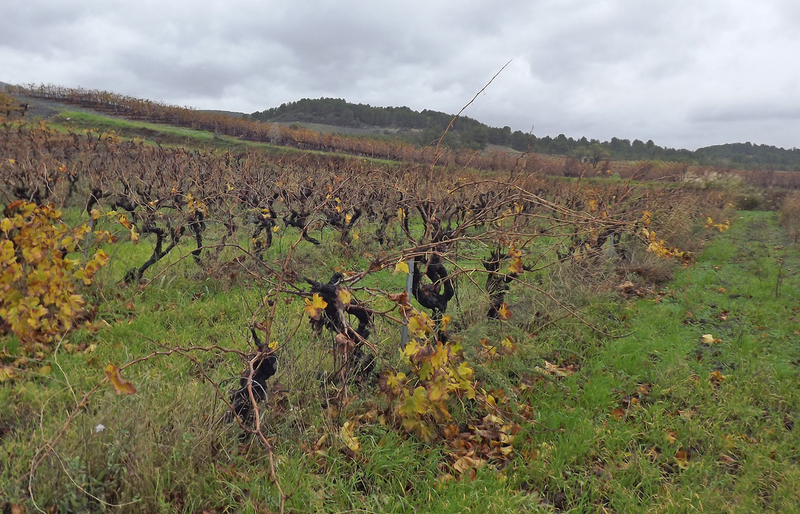 Like many of the winery owners of Roussillon, he is fifth generation. We sipped a light 2011 Prestige, a mix of malvasia, vermentino, and white grenache and he told me how his family helped bring new varieties to the region. He also was proud of the fact that everything in his vineyard is done by hand. My salad was good, but the cheese filled bilini and mushroom, potato, yam dish was just what I needed with the La Romania, an oaked malvasia/vermentino, which stood strong on its own. We ended the meal with a chocolate molten cake and Vin Doux Naturel AOC Rivesaltes Garnet, a black grenache that tasted of plums, black currant and a little bit of green pepper to finish my day with spice. 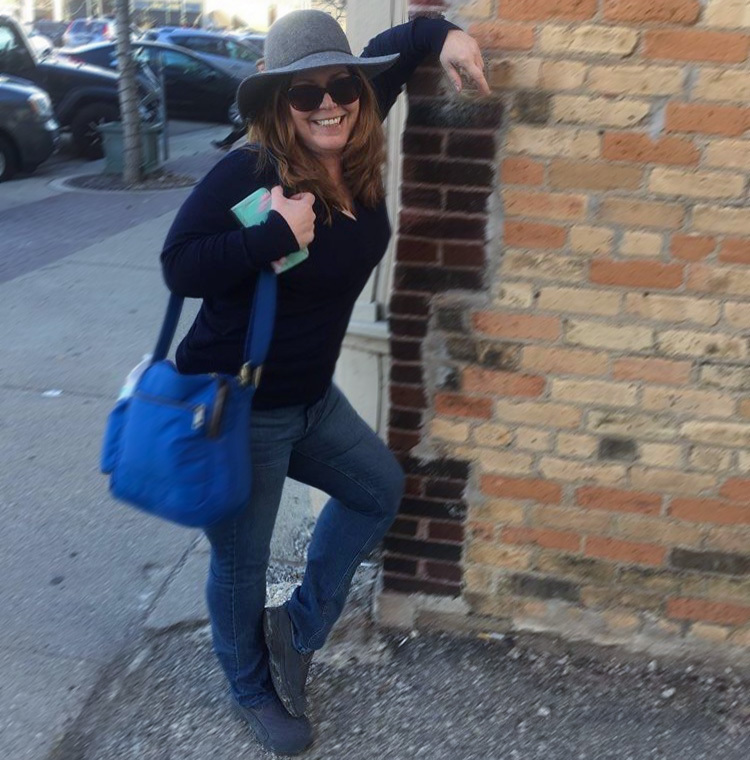 Nice brief, I found your blog very much informative and well written. The images are very good. It seems that you had really a great time out there. your mouthwatering pics are really amazing and breathtaking, large range of branded wines and lots of options of the beverages make me compel to say wow! 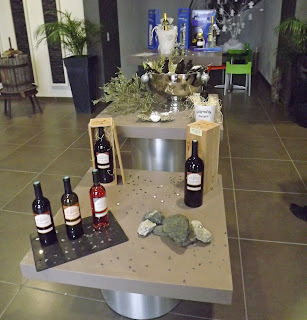 Nice blog about wine Exploration..
nice share .this really nice blog i like this post. the image are very nice.it seems that you had a great time out there.